The engineers at Mazak are the world leaders in high-quality manufacturing technology. Like Hartzell, Mazak grew from the ambition of a visionary individual, Saddakichi Yamazaki, nearly a century ago. Today, their INTEGREX multi-tasking machines help Hartzell’s plant in Piqua, Ohio produce aircraft propellers to the most precise standards imaginable. When you are in an airplane you wanna know that everything that is on that plane, guiding it and keeping it on path, has been manufactured to the tightest tolerances possible. 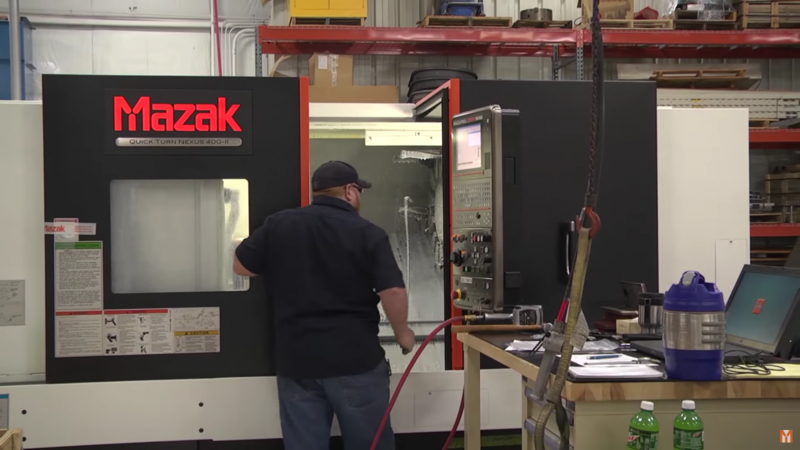 The technology that we have from Mazak allows us to combine what was several [manufacturing] setups. We currently produced the part in generally one or two setups. The parts are much better due to the reduced number of setups.